I couldn't resist!! 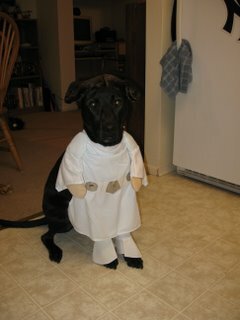 Zoe is going to be Princess Leia for Halloween! She's such a good sport. How cute!! Abbi would never let me put a costume on her let alone pose for a picture!! Lucky.